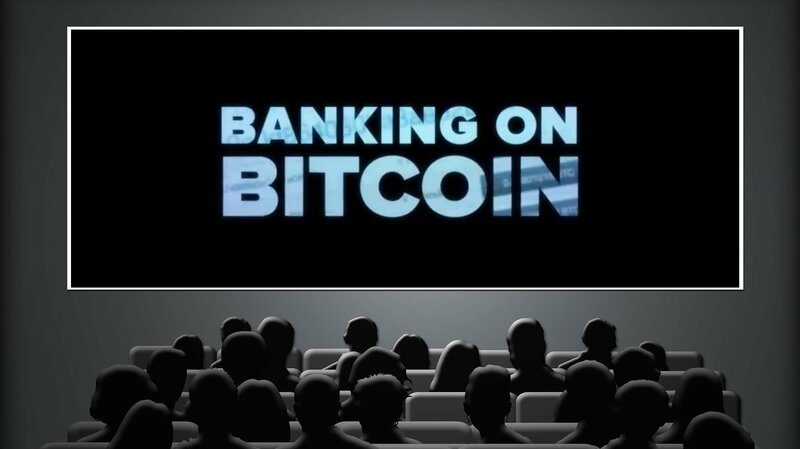 Banking on Bitcoin is a good film, professionally produced. On the hugely popular Netflix platform, the film will give many newcomers an understandable first introduction. The overall impression is that this a good historic and ideological overview of Bitcoin’s first development phase but it’s in need of a sequel. From its cypherpunk roots and days of early adoption, the film focuses on the digital currency’s rocky relationship with the banks and regulatory bodies, setbacks like the fall of MtGox and the Silk Road, as well as some figures who were “first through the door,” like Charlie Shrem, Erik Voorhees and Gavin Andresen. At the same time, Bitcoin and crypto enthusiasts are likely to find two shortcomings: First, the film dedicates too much time to stale old news like Silk Road and BitLicense, and not enough to new developments. Second, because it was first begun in late 2013 and wrapped up in the fall of 2016, the coverage of recent developments is very limited: The film essentially stops at the end of 2015. Bitcoin Magazine reached out to the film’s director/writer/producer Christopher Cannucciari and associate producer Phillip Galinsky to find out more about the film’s background and their future plans. What is your background, and what has been your role in the film? Christopher Cannucciari: I had become interested in digital currency while I was producing a 2009 documentary in Kenya and some locals had introduced me to what would become mpesa. Kenya had just had a major crisis due to post-election violence of 2008. The banks had shut down and Kenyans came up with the novel idea of texting phone credits which could be used as money to pay for goods and services. Upon my return the thought of new ways to used technology as money stuck with me. Fast forward to 2013 and my interest in Bitcoin became so strong that I decided to bring my abilities as a filmmaker to it. Phillip Galinsky: I’ve been involved in the film since the beginning when it was just Chris working in the role of Director and myself working in the role of Producer. Chris and I were working together on an unrelated project over a three-day shoot and I kept noticing (and occasionally mentioning to other members of the production team) that the price of bitcoin was skyrocketing. Others working on the project seemed skeptical at first, but as the weekend drew on and the price nearly doubled, people became more interested. Chris and a number of other team members asked me to explain what bitcoin was and how it worked. I was (and am) primarily interested in Bitcoin from a technological and moral consequentialist perspective, so I walked through the basic functions of blockchain technology, and attempted to explain how the capacity of blockchain technology to enable distributed, decentralized, censorship-resistant databases is a crucial enabling factor for development and implementation of the next generation of free and open global societies. My technical and somewhat arcane explanation turned out not to be the most effective way introduce the technology to the crew, and a number of people expressed interest in a gentler and easier to digest source of information about Bitcoin. Chris in particular wanted to know more about Bitcoin due to previous experiences that showed him the power of technology as currency, and took note of the fact that, although Bitcoin had been around for about half a decade by then, most people still hadn’t heard of it and there were few high quality resources to be found that were targeted toward informing a general audience about the technology. I introduced Chris to the NYC bitcoin community and we worked together on the many components of documentary film production. What is the main message that viewers should take away? Christopher Cannucciari: Before the public passes judgement on Bitcoin, they deserve to know where it came from, how it works and how it fits into society. Bitcoin didn’t come from nothing, it came [off] the shoulders of the Cypherpunks. Bitcoin is a technology, and technologies are neither good nor evil, but rather [they’re] accelerants. Society can use it as a tool however they see fit, and our hope is that those who wish to learn about Bitcoin will understand that it is there for them to participate as much as anyone. The film doesn't cover developments after the end of 2015 (price increases in 2017, investments, DAOs, spectacular ICOs, sidechains, Lightning Networks...). I guess you had to take a long time for post processing and marketing (probably for lack of funds) between the end of shooting and the first release? The story of Bitcoin is just too big to fit in a single film. Banking on Bitcoin is a primer for what Bitcoin is, where it came from and how it survived its initial challenges. As a primer, the audience can then dig in deeper and discover the many more complex stories. We certainly could have tried to fit in many more stories, subjects and details, but the film would have lost its focus rather quickly. It was essential for us to honor the initiated while holding the attention of those who wanted an entry point to this amazing subject. Vitalik Buterin appears in a couple of scenes but is never mentioned, and Ethereum is never mentioned. Why? Christopher Cannucciari: I held interviews with Vitalik in Toronto, Wences Casares in Silicon Valley and even traveled to the Bitcoin Bowl in Florida. As much as I wish I could have kept these stories in the film, we had to keep focus on what was unfolding before us in New York. Ethereum deserves its own story and perhaps we can find a way to tell that story in the future. You often mention the tension between the original libertarian, crypto-anarchist spirit of Bitcoin and its new "sanitized" mainstream aspects, Ben Lawsky's regulations and Blythe Masters' Wall Street blockchains. What's your own take? Christopher Cannucciari: The Crypto scene in New York was amazingly vibrant and the state had a golden opportunity to foster it and give New York the same innovative energy Silicon Valley had in the 1980s. What happened instead is Bitcoin was eyed with suspicion and the regulations around it made it difficult for “garage” entrepreneurs to participate. It is now left to those who can afford to work with the regulators. Phillip Galinsky: There are both positive and negative consequences of the adoption of blockchain technology by “Wall Street.” All blockchain development, both open and closed source, has the positive consequence of informing developers about the limitations and capacities of the technology. Open source endeavors produce the most accessible and immediately useful technologies to facilitate further blockchain invention and innovation. 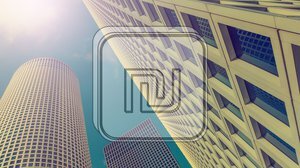 However, even closed-source development produces valuable knowledge about the possible uses of blockchain technology; for example, this white paper released by Blythe Masters’ firm Digital Asset Holdings which goes into great depth about one of the many possible uses of blockchain technology. This is not to say that all blockchain based systems will be positive or bear normative value from a moral consequentialist perspective. Blockchain technology is incredibly powerful and will shape the future of human interaction and societal system architectures, for better or worse, and it is largely on the shoulder of developers to ensure that the blockchain is used to increase well-being in the world. Is the end meant to suggest that Craig Wright is Satoshi? What is your own bet? Who is Satoshi? Christopher Cannucciari: It’s very interesting how this is a sensitive issue. Craig Wright was presented in the same way as Dorian [Nakamoto] was. The carousel of Satoshi’s identity will continue; Wright will not be the last to come forward. While Wright is most certainly not Satoshi, some have suggested that he was a drop for the real Satoshi. The timing was interesting, Wright was in need of capital to settle some big debts and all of a sudden he was in possession of some valuable, early Satoshi-era Bitcoins. For those who want to play the Satoshi game, I added this breadcrumb to keep the search on. The Bitcoin/blockchain story is far from over. Are you working on a sequel to the film, and what role does blockchain technology play in your future work? 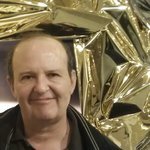 Phillip Galinsky: There will certainly be an ever-increasing wealth of material for filmmakers to cover in the blockchain space in coming years, as many of the most exciting developments in blockchain technology — self-executing contracts, oracles, distributed autonomous organizations, and most fascinating to me, blockchain-based societal control systems — are still in the nascent stages of development and implementation. Chris and I have discussed the possibility of making a sequel; however, we haven’t made any specific plans to do so at this point in time.